Video is absolutely everywhere these days. It’s in our Facebook and Twitter feeds. It’s in our Snapchat and Instagram. It’s the very essence of Periscope and Meerkat, apps specifically designed for live broadcasting. But, is it in your email? 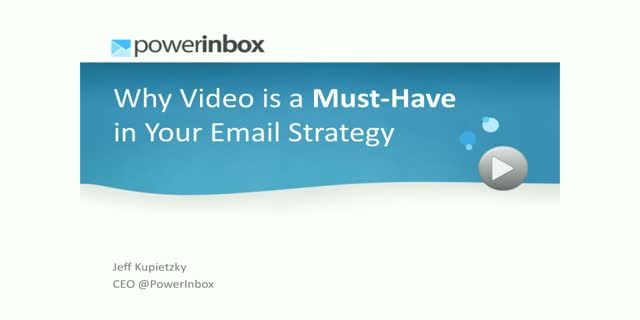 In email, the impact of video is amplified. Why? Because unlike random videos or ads that pop up on Facebook, video emails are distributed directly and precisely to your subscriber audience. In this webinar learn the reasons to incorporate video into email and tips on how to make your email campaigns even better for better engagement and ROI.